I’ve heard so much about Moroccan food and culture. Recently I visited to a Moroccan restaurant in Clapham neighbourhood called Tagine. This place has a lovely moroccan traditional decoration that makes you feel like you are in a different place. After I checked out their gorgeous leather menu, I decided to pick Pastilla of chicken for starter that is a sweet and spicy filo pastry with almond and cinnamon. The combination of sweet and savoury gave this dish a special taste which I have never tried before. The main course was lamb shank and aubergine tagine. The lamb was cooked to perfection and the aubergine was so tender and tasty. 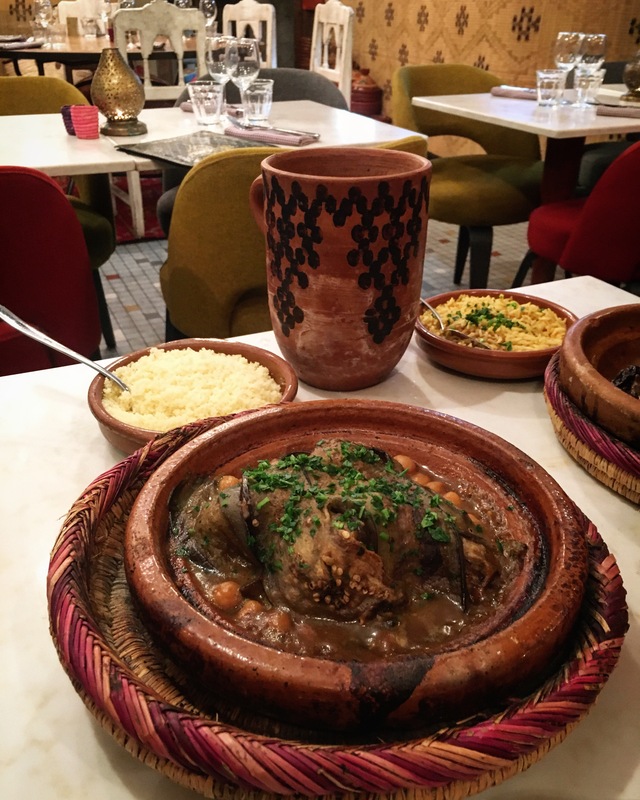 I loved the way they serve the food in traditional tagine dishes and it really takes your dining experience to the next level. We finished our feast with a fantastic moroccan mint tea and selection of sweets recommended by their lovely staff. Overall, I had a unique dining experience in this place and I am now even more keen to visit Morocco after visiting this beautiful and cosy restaurant. bastilla is my favorite you should try the seafood one its amazing!